As we well know, a race car driver wins races from shaving lap times by cornering faster. Because of this many teams and constructors try to make cars that maintain higher cornering speeds. On every car a basic differential is fitted to to distribute the engine's power to the driving wheels. 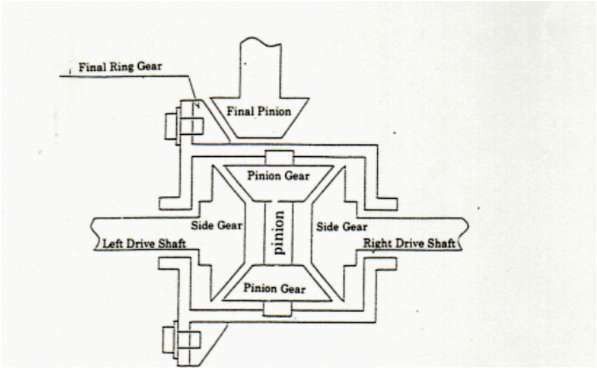 The basic differential gear (d1 below) supplies the power to wheels which is/are loaded with least resistance. This allows the cars wheels to run at different speeds in a turn with least resistance. However, when a car is cornering close to it's limit, the car will exhibit roll, a leaning to one side, causing the inside tires to lose forward traction and lateral grip. The wheels lift and cause excessive spin because of lack of downward force or weight distribution. This wheel spin is useless for acceleration until the tires regain traction and start to translate the power to the ground. An LSD is used to alleviate this wheelspin. 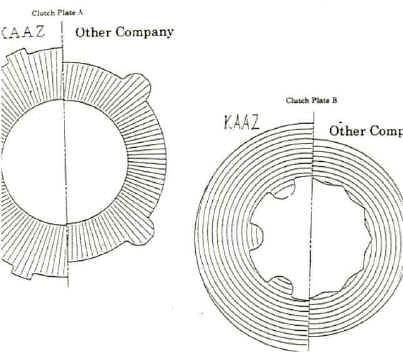 As you can see, the pressure plate rings have the side gear, pinion, and the pinion gear locked inside, and behind each pressure rings are a number of clutch plates. When torque is applied to the differential, the differential case will spin and throw the pinion into the pressure ring cam. 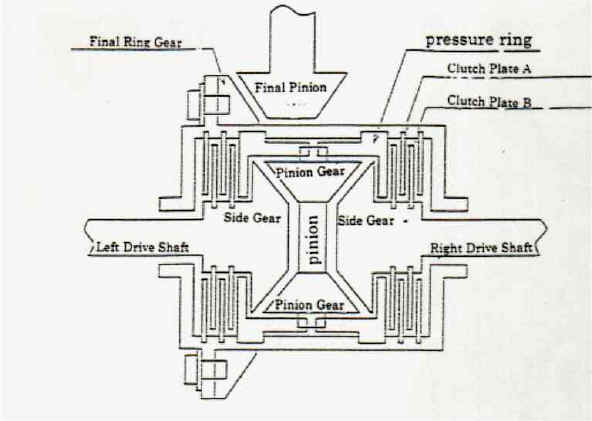 The pressure ring is then pushed out against the clutch plates thereby squeezing them together. This in turn causes the wheels to gradually lock together, depending on the power applied. This effect limits the wheel spin during hard cornering and applies power to the wheels evenly when more power is applied to the wheels. On acceleration and deceleration, it provides even grip and on neutral power, it frees up for less drag and easier turning. 1-Way, 2-Way, 1.5-Way.......... What Does It Mean? 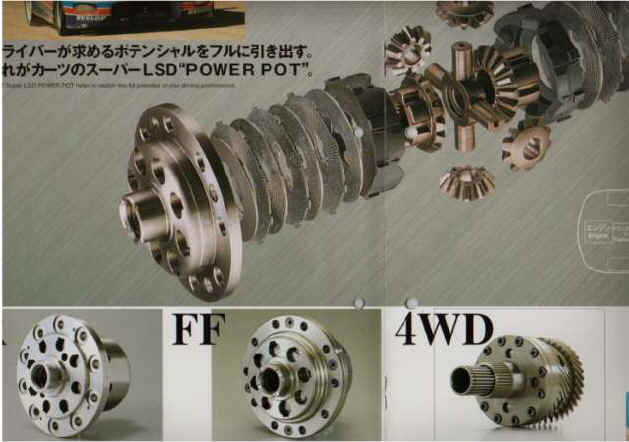 Some manufacturers make LSD's in different configurations and are commonly classified as 1 way, 2way, and 1.5 way. This designation reflects the design of the cam groove which enables the LSD to function differently under different loads. A 1 way differential means that the cam is shaped in such way as to have positive lock only when accelerating. 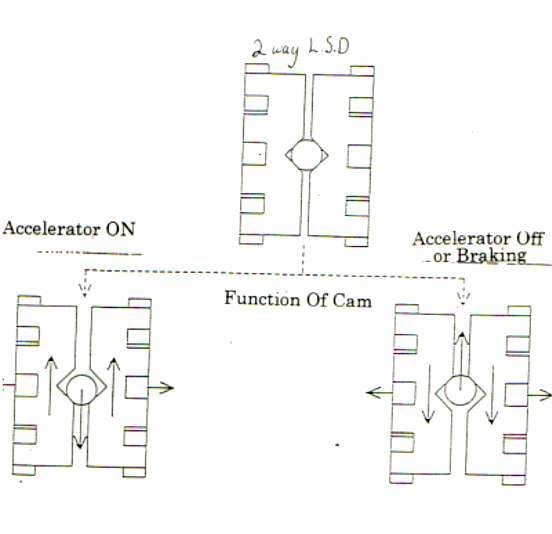 The 2 way is constructed in a way to have positive lock motion in either acceleration or deceleration. The 1.5 way is a new term used to describe the 2 way cam which enables different lock up rates during the two directional forces. The 1.5 distribute positive lock stronger under acceleration than when decelerating. The 1.5 way can provide more forgiving balance when braking than a full 2 way setup, although it is less effective for true racing applications, it provides easier operation for beginners in throttle off conditions. It is also effective for front drive cars which need extra stability during braking. There are many brand and grades of LSD but here's how you rate them.